Live in the City – the summer gigs 2016! The 4th edition of Live in the City (Miasto na żywo) – concerts taking place in the public space as part of the Gdańsk Outdoor Gallery – is about to begin. This year, Dolne Miasto will witness such acts as Band A, Asia i Koty, Hoszpital and Popsysze, while DJ Wika and DJ Czarna are going to play in Nowy Port. The first gig is on 23 July! Live in the City began in 2013. The idea was to organise gigs in unusual locations: in yards, rather than within gallery walls and music clubs. The project counts with the participation of artists whose concerts may interest both local inhabitants and guests from other part of the city or tourists visiting Gdańsk. The objective is to create meeting-points for the local inhabitants, revive Dolne Miasto and Nowy Port, overcome stereotypes surrounding these districts and convince accidental passers-by to become interested in art and contemporary music, and to take part in artistic events more often. 23 July 2016, 8 p.m. Band A was formed by four musicians from the Tricity area, all of whom are remarkable artistic personalities in their own right. Their meeting during a Sopot jam session – almost accidental and burdened with no expectations – resulted in the idea to play together. Their first concert during the “Nasiono Sunrise” festival was recorded – the organizers liked it so much that Karol Schwarz of Nasiono Recorde released it as the group’s first album. They are really well received live: during the first concert promoting the album, the entire stock was sold. Their music is a volcano of energy and emotion combined with the unconventional style of each of the instrumentalists. It is a result of improvisation and joint inspirations. The group are: Krzysztof Stachura (guitar), Michał Gos (percussion), Maciek Szkudlarek (bass), Tomasz Gadecki (saxophone). 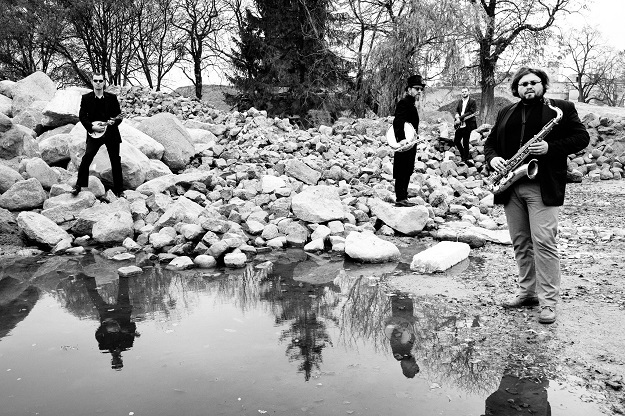 A combination of avant-garde, alternative, jazz and rock makes them unique both on the Polish and international scene. TOMASZ GADECKI – saxophone player (b. 1971 in Gdynia). He spent the last decade in various improvised projects. Co-founder of such groups as Olbrzym i kurdupel, Sambar, Band A free, 250 kg (ćwierć tony), TRC and Helaton. He collaborates with a number of musicians in Poland and abroad. He composes music for theatre productions and is a session musician in many projects, such as Pure Phase Ensemble, Dreadless Lions, Galago, Artur Maćkowiak, Contemporary Noise Sextet and 7FAZ. Together with Anna Haracz, he plays in Acoustic Body – a duo combining music and dance. Improvisation is a very important element of his art, which is why he often works with performers, painters and poets. 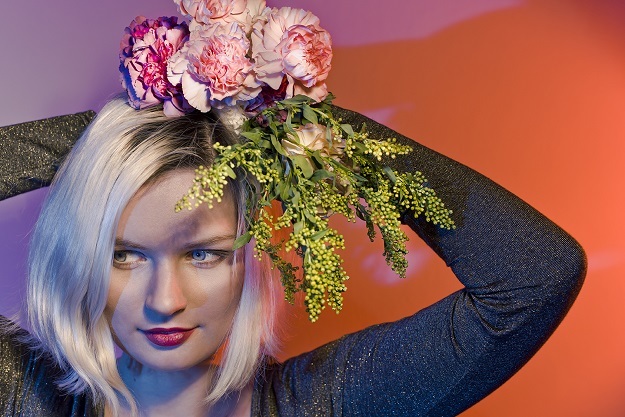 Joanna Bielawska became known to the Polish audience in 2012, when she released her debut album “Miserable Miaow.” In it, she presented her fascination with songs, acoustic melodies and electronic influences, which were combined in a number of melancholy, yet distinct pieces. The artist, performing under the moniker Asia i Koty, composes all tracks herself, plays electric guitar and uses loopers. This is minimalist songwriting, enriched with complex harmonies and mantra-like repetitions, whose most important element is the voice: poignant, clear and mature. Bielawska’s music is both delicate and dark, song-based and open to musical experimentation. Suffice it to say that the artist took part in 4 releases by Folder and after her debut album collaborated on such records as “Nasiono Swap Singers”, “Hi, Mom!” by Karol Schwarz All Start and two live albums by Pure Phase Ensemble recorded during the first and third edition of the SpaceFest festival. She also started two further electronica-inspired projects: Morgaine Fay duo, based on ambient/noise synthesisers and electric guitar, and techno-inspired solo project Kthx NFZ. The artist’s latest album “Sing” was released on 2 April by Nasiono – a Tricity label she’s been faithful to since the beginning of her career. As the title suggests, it’s an album about singing and it’s the voice which plays the main part here. “Sing” also documents the artist’s struggle with depression, low self-esteem and lack of self-confidence. Asia i Koty combines various inspirations here, the most tangible being Angel Olsen, Cat Power or Julianna Barwick. The music is based on electric guitars, but Bielawska also reaches for acoustic guitar, piano, loops her instruments and enhances them with subtle beats. 06 August 2016, 8 p.p.m. Hoszpital was formed in March 2012 in Poznań. Until this year, the trio released an EP in 2014 and their debut album in 2015. A year after their first album, Hoszpital are showing their new face. No longer that of a shy lover, conquering girls’ hearts with melancholy and poems by Andrzej Bursa, but that of an agitated dancer at a sad disco. “Horor” consists of ten loud, energetic pieces, which take on the form of an accelerating racing car (“Taśma”) or brittle, Lady Pank-esque ballads (“Niebywałość”). The record provides an original mix of rock and 80s new wave influences with contemporary trends (swagger-like riff in “Problemy”, drums occasionally bringing to mind the drum’n’bass culture). The crazy and dirty side of the songs was brought out by producer Paweł Cieślak from Hasselhoff Studio in Łódź. The entire album is pieces together by the strong, vibrating voice of Michał Bielawski, while the emotional depth of his dithers on life and love is enhanced by Joanna Bielawska’s backing vocals (the artist’s wife). Hoszpital are: Michał Bielawski (vocals, guitar), Adrian Borucki (drums) and Paweł Swiernalis (bass). 14 August 2016, 8 p.m.
DJ Wika is the stage pseudonym of 77-year-old Wirginia Szmyt – the oldest DJ in Poland. DJ Wika is a social activist and co-organiser of parades for seniors. She used to work as a pedagogue in centres for troubled youth, and began her music career when she retired. Since 2011, she has taken part in Intergenerational Dances – a cycle aimed at familiarising senior citizens with contemporary music and introducing young people to music their grandparents listened to. DJ Wika overturns stereotypes surrounding old age. 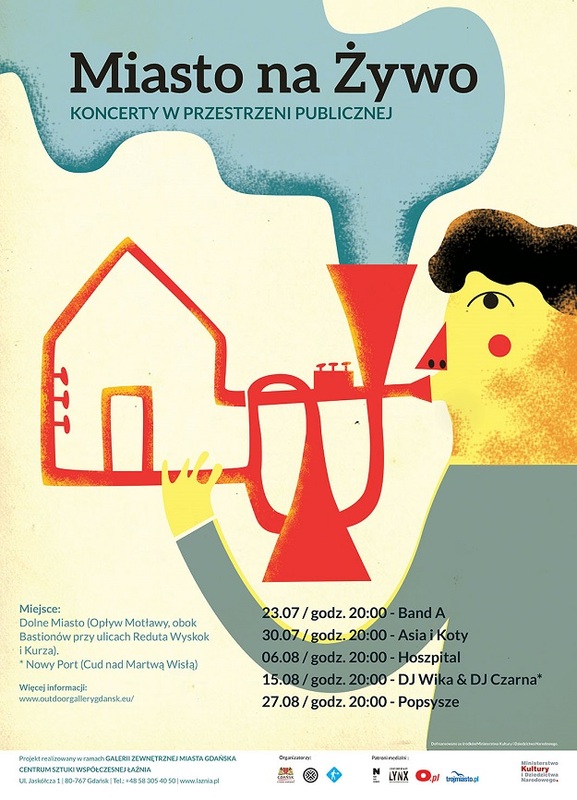 The concert is going to form part of the annual Cud nad Martwą Wisłą event organised by Łaźnia CCA in Nowy Port, where the Łaźnia 2 CCA building is located. 27 August 2016, 8 p.m.
Popsysze to rock and rollowe trio, które powstało w 2008 roku w Trójmieście. Grają w nim Jarosław Marciszewski (gitara, wokal), Jakub Świątek (perkusja) i Sławek Draczyński (bas). Zespół swój debiutancki album „Popstory” wydał w 2012 roku, premiera drugiej płyty o nazwie „Popsute” odbyła się 16.01.2015 roku. Jesienią 2016 planowane jest wydanie trzeciego albumu. Popsysze is a rock’n’roll trio formed in 2008 in Tricity. The band is composed of Jarosław Marciszewski (guitar, vocals), Jakub Świątek (drums) and Sławek Draczyński (bass). Their debut album “Popstory” was released in 2012, and the second album “Popsute” premiered in January 2015. They plan to release their third album in autumn 2016. 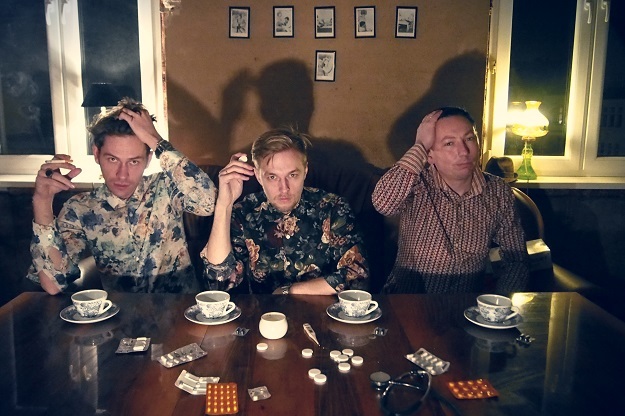 Popsysze like simple rock’n’roll and melodies, but they also like to ‘spoil’ their songs by improvising and leaving the song formula in favour of more loose compositions. Their second album was inspired by the beginnings of hard rock and stoner rock, but the band remains faithful to simple rock’n’roll forms, occasionally edging towards improv and psychedelia. Most texts on the second album are in Polish. The project is organised within The Outdoor Gallery of the City of Gdansk.